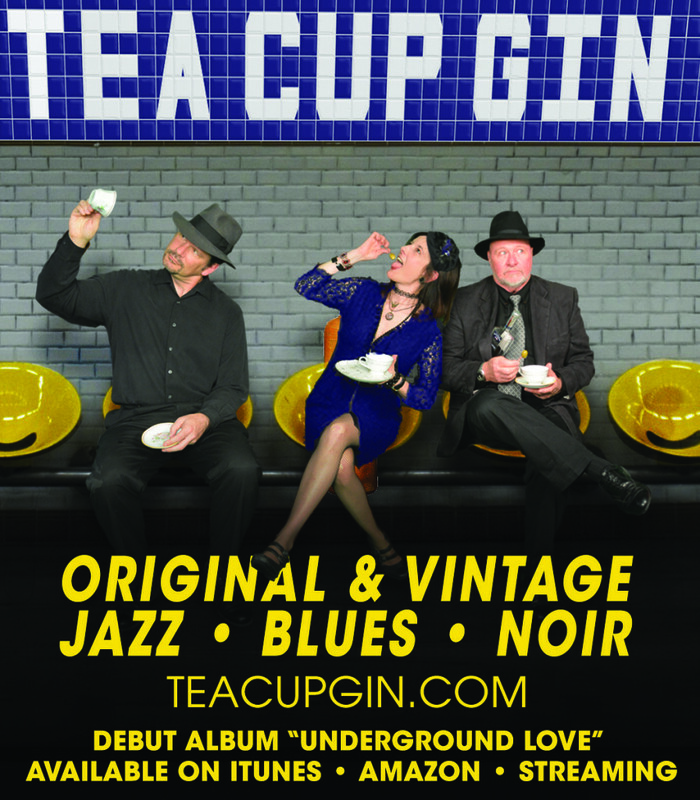 The members of Tea Cup Gin share a passion for crafting original indie-jazz cocktails under the influence of an eclectic blend of early 20th century musical genres (like deco era vocal jazz, tin pan classics, ragtime & delta blues, torch, chanson, cabaret, bossa, tango, & show tunes). The band stirs together unique melodies and lyrics, served up on two blazing acoustic guitars, with impassioned vocals, dynamic upright bass & percussion, and occasional guests on trombone, trumpet, violin, sax, & more. Click Pic for Full Feature!